Welcome to our page on the web! Enjoy our soundbites and see you on the Powwow Trail! When you see a White Eagle button, click on it for sound. White Eagle Singers will be host drum for the Willamette University Powwow, March 14th, 2015, in Salem, Oregon! Arlie is very excited to return to his Alma Mater, Class of '83, to share their music and legacy. Click here for soundbite of Straight at Ya! one of our fave songs to sing for the traditional dancers. And here's another we call Slim John Special , dedicated to the late great Junior Slim John and all of our elder singers. "Thank you for keeping it strong for us!!!" This song belongs to the Slim John Family and is not to be sung without their permission. 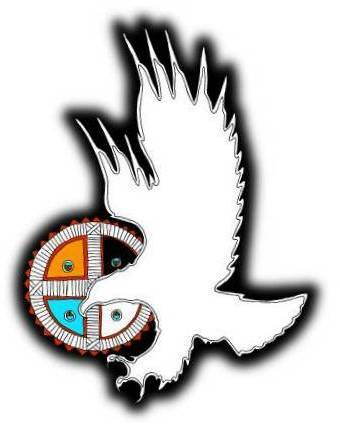 We hope you enjoy our music and that our songs take you a little further down that Powwow Highway. And to all the other singers...sing hard, sing strong, and LET’S MAKE THE PEOPLE DANCE!! !